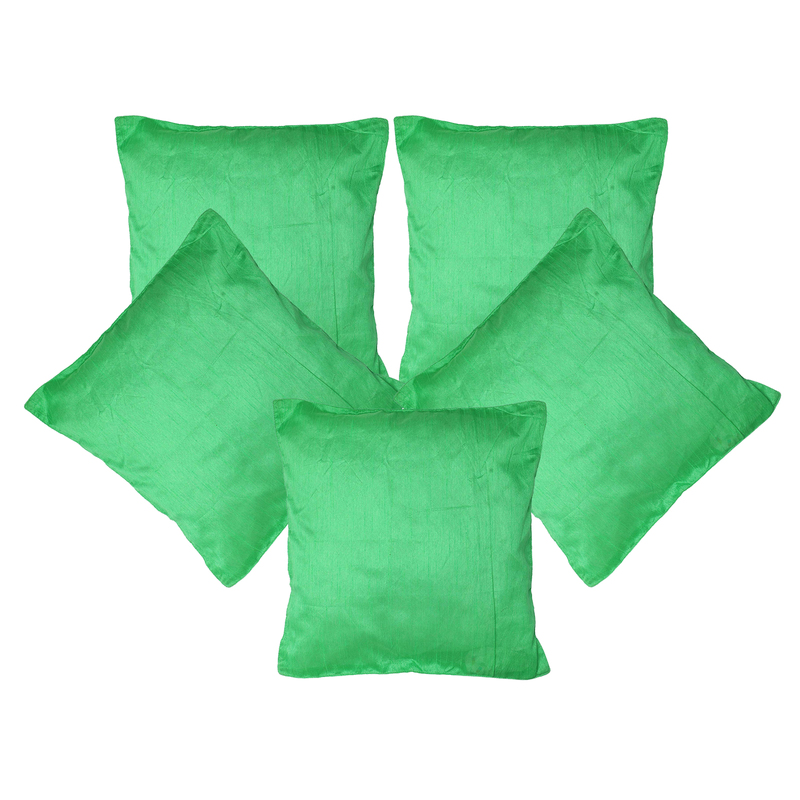 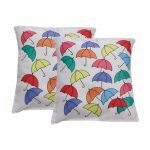 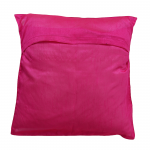 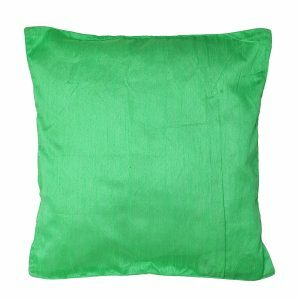 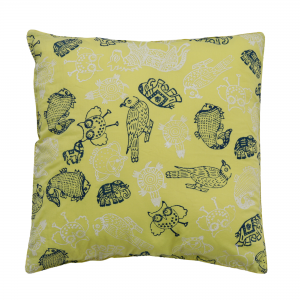 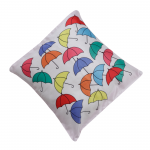 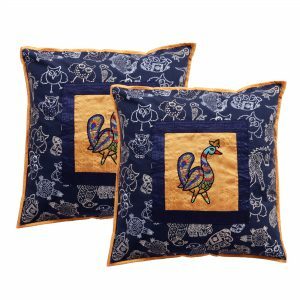 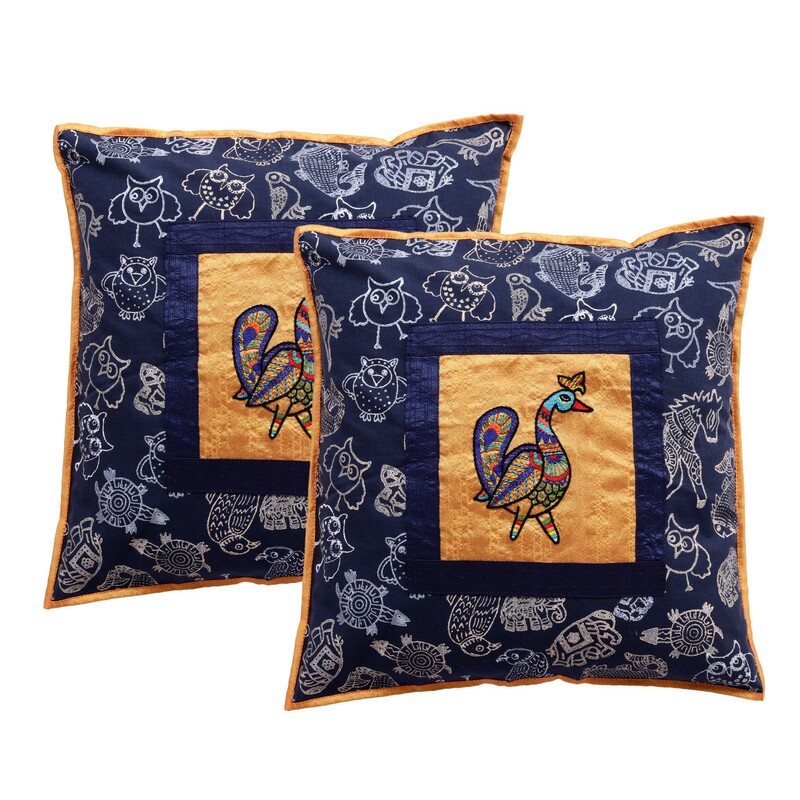 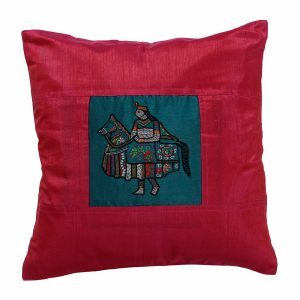 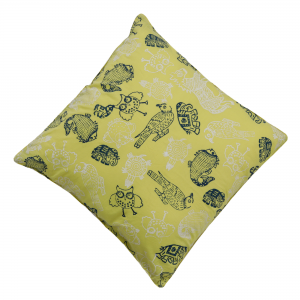 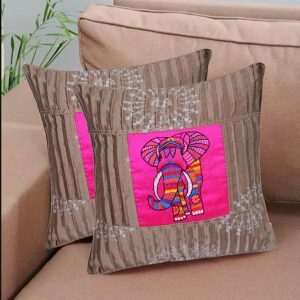 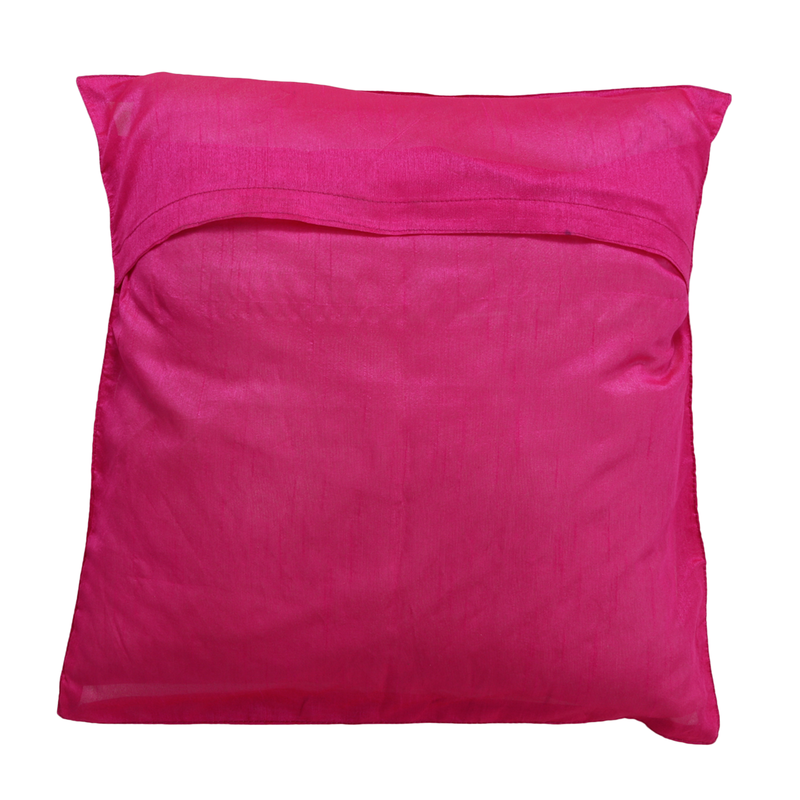 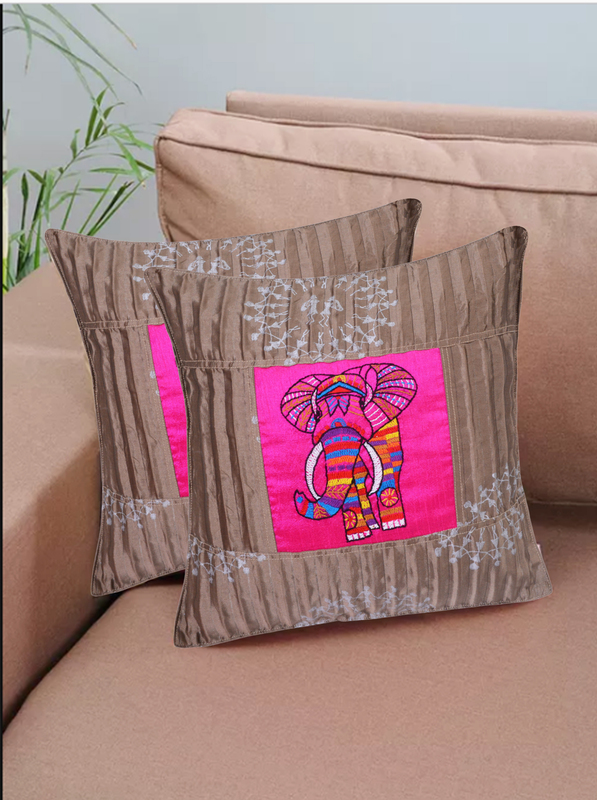 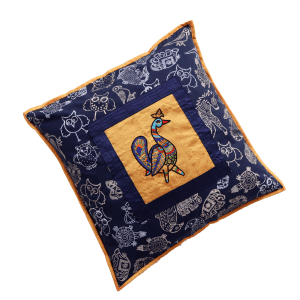 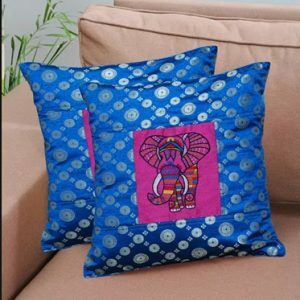 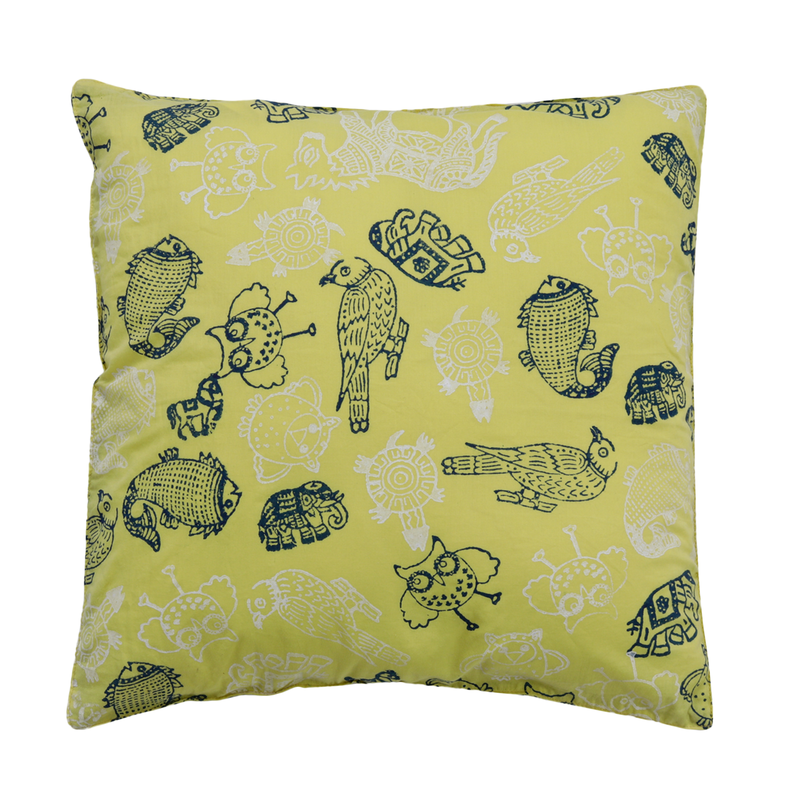 This Elephant Kantha embroidery on Dupion silk cushion cover is 100%handmade. 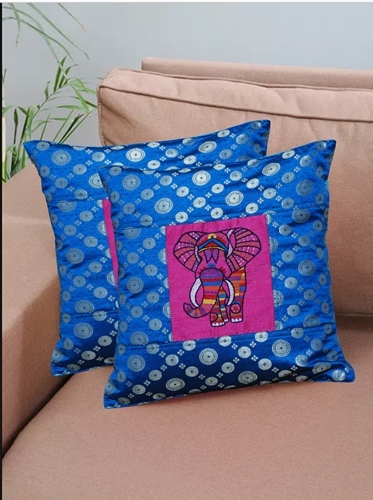 The vibrant colors of elephant embroidery are very trendy, attractive and the ethnic look representing the traditional handwork of Indha. 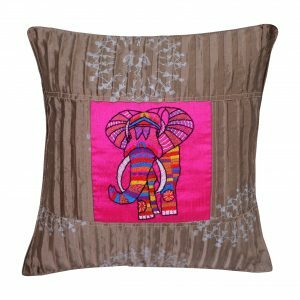 The earthy and traditional color combination of this product gives an artistic look to your home decor.The women artisans of various geography are involved in creating this master piece and may have some aberrations which value adds to the ethnic design. 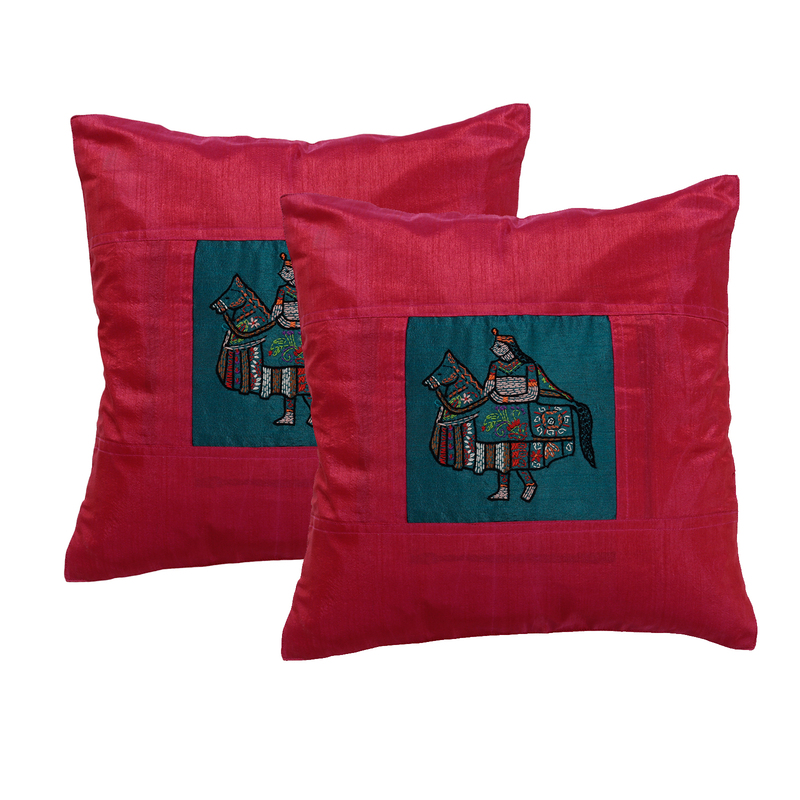 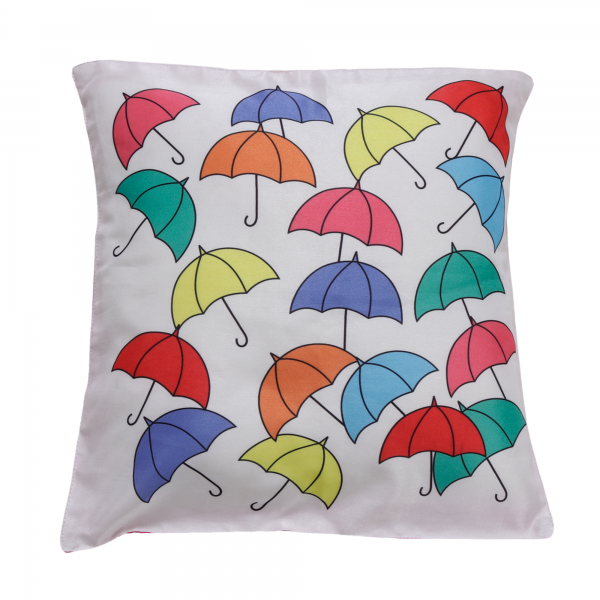 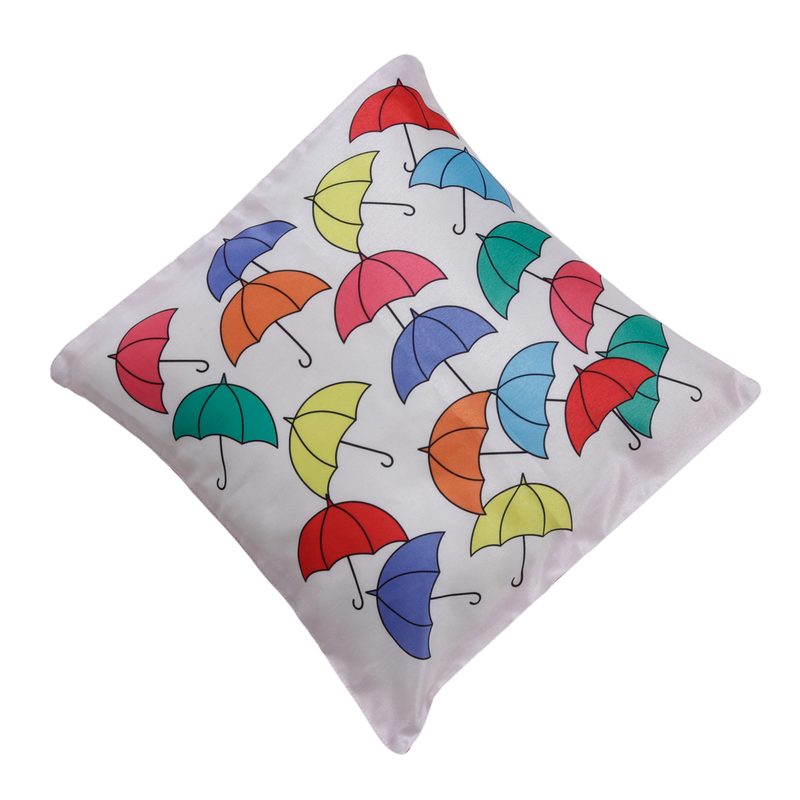 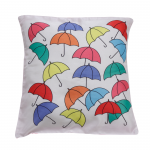 The Sales proceeds give support to livelihood of these woman artisans.